Andy Immerman is a member of the Federal & International Tax Group. He focuses on the federal income tax aspects of planning and structuring transactions involving corporations, limited liability companies and partnerships. 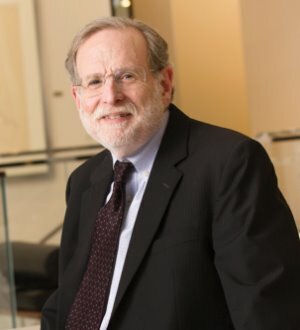 Mr. Immerman, a frequent author and speaker, is past chair of the Committee on Taxation of the American Bar Association, Section of Business Law. He is a former member of the Executive Committee of the State Bar of Georgia, Business Law Section; Life Fellow of the American Bar Foundation; and former member of the editorial board of Business Law Today. While chair of the Partnership and LLC Committee of the State Bar of Georgia, Business Law Section, he led the drafting of the most comprehensive set of amendments to the Georgia LLC Act in the history of the act. He participated in several drafting projects of the ABA Section of Business Law, published in The Business Lawyer. Mr. Immerman is listed in The Best Lawyers in America, Chambers USA: America's Leading Lawyers for Business and Georgia Super Lawyers magazine. In 1982-83, he was a law clerk for The Honorable Judge Arlin M. Adams, U.S. Court of Appeals for the Third Circuit, Philadelphia.